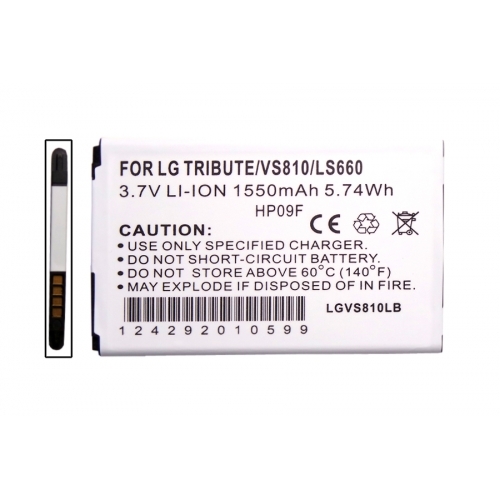 Talk longer with the Standard LG Transpyre/ Tribute Replacement Battery from AccessoryGeeks.com! Get the use of an original battery at an affordable price with a LG Transpyre/ Tribute standard replacement battery. This high-quality battery is guaranteed to work like factory originals. Actual LG Transpyre/ Tribute, if pictured, is for demonstration purposes only and is not included with purchase. Get the use of an original battery at an affordable price with a LG Transpyre/ Tribute standard replacement battery. This high-quality battery is guaranteed to work like factory originals. Use this LG Transpyre/ Tribute battery as a replacement or back-up battery for long trips so you never lose contact with the world!